If you don't find the term you need explained or see an error, email us at help unavco.org. country: in our database, a geo-political region, e.g. Antarctica, Chile, Russia, USA, etc. DCB: see "differential code bias"
and as of 1.0 Jan 2017 UTC (and before the next leap second is inserted), GPS - 18 seconds = UTC. See NIST Leap second and UT1-UTC information for the latest leap second listing (updated monthly); see USNO GPS "UT" Solution to obtain a daily listing of observed UT1-UTC and see IERS Bulletin A for predicted UT1-UTC; see also USNO leap second for more background. Note: A positive leap second was inserted at the end of December 2016. See also The leap second: its history and possible future, Nelson et al., Metrologia, 38, 509-529, 2001. National Geographic News: Why is Earth's Girth Bulging? media: or physical media; best explained by example: 9-track, QIC (1/4" cartridge tape), audio cassette tape, 3.5" or 5.25" floppy disk, 4mm DAT, 8mm data tape, 8mm video tape, optical disk, magneto-optical disk, PC-Card (PCMCIA), Zip disk, Jazz disk, CD-R, CD-ROM, hard disk, etc. observable: any measurement between the space segment and the user segment of Navstar GPS, GLONASS, Beidou/Compass, Galileo, QZSS, IRNSS, or SBAS, e.g. receiver clock epoch time, and at the epoch: carrier phase (i.e. cycle count) measurements at specific carrier frequencies (e.g. GPS L1, L2, L5), pseudorange measurements of specific digital modulated codes (e.g. 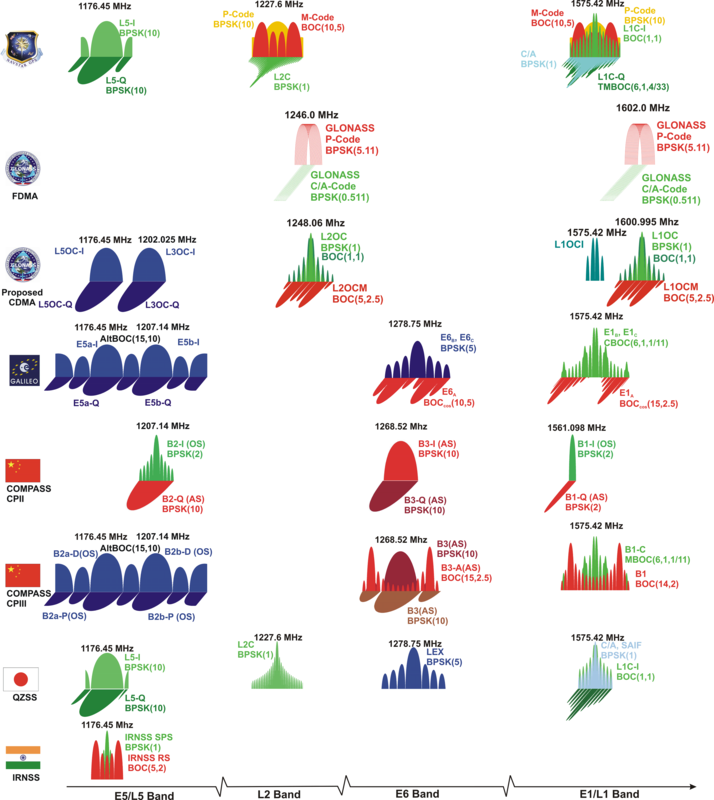 GPS C/A, P) on those carrier frequencies, doppler measurements of the carrier frequencies, signal-to-noise measurements of the carrier frequencies, etc. a marker has one or more survey points. site description: the general description of a site, primarily to identify how to find the site from surrounding towns, roads, landmarks, etc. Setup and station imply two ends of the time spectrum: a setup is generally more short-term (on the order of hours to days) and a station is more long-term (on the order of months to years). On occasion, a setup (plus long-term power) is pushed into long-term use (many months), but it still does not have the permanence and survivability implied by the term "station"
UNAVCO: originally "University Navstar Consortium" up until 30 Sept 2003, but after which UNAVCO is just a name (i.e. not an acronym) representing the non-profit membership-governed organization that supports and promotes Earth science by advancing high-precision geodetic and strain techniques and technologies such as the Global Positioning System; see also UNAVCO About Us.